Pointe Coupee Parish farmer Marty Graham dusts off his irrigation pump, because he knows summer is just around the corner. Last year, depending the amount of rainfall, Graham used furrow irrigation every seven to ten days. Something he says, doesn’t come cheap. That unknown factor is what prompted Mississippi State irrigation specialist Dr. Jason Krutz to research and create the Row Crop Irrigation Science and Extension Research Program. 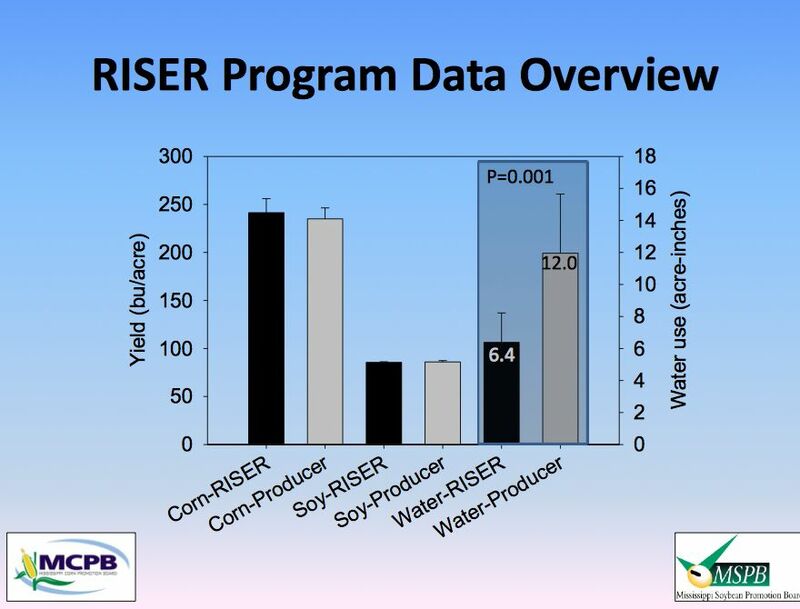 The RISER program accomplishes this by exercising proper furrow irrigation practices, by using serge valves and implementing accurate irrigation scheduling. “If you want to schedule irrigation appropriately, put soil moisture sensors in the field,” Krutz says. Krutz introduced nearly 40 Louisiana farmers with how soil moisture sensors measure ground water. When farmers know the amount of groundwater, it helps them accurately determine when to irrigate. “Using soil moisture sensors in 17 different irrigation sets, we reduced water use by approximately 50 percent, maintained their yield and improved their profitability,” Krutz said. Most Louisiana farmers do not use soil moisture sensors. Instead, they rely on their own intuition when deciding when to irrigation. After soil moisture content is determined a serge valve is used to regulate the water flowing to the crops. Krutz says a serge valve generally runs around $1000; however, Tensaw Parish farmer Terry Mize says he’s hoping this program will work on his farm. Something Krutz says is a win-win for the environment and farmers’ bottom line. Tags: Farming, Irrigation, Mississippi State University, MSU. Bookmark the permalink.